Tonight we enter into the month of Cheshvan. It is the 8th month on the Hebrew calendar. Eight symbolizes new beginnings. I have always loved new beginnings or new starts. The New Year, fresh new seasons, new adventures…. even as a kid I loved starting a new school year, with the brand new books and pencils, a new classroom, the promise of learning something new that I didn’t know before. It was always a time full of anticipation and hope that anything could happen! In Isaiah 43:19 God talks about doing something new… “Look, I am about to do something new; even now it is coming. Do you not see it? Indeed, I will make a way in the wilderness, rivers in the desert.” A few verses before that He reminds Israel of all He has done for them.. the miraculous way He delivered them out of Egypt and overthrew their enemies. And then He says “But forget all that – it’s nothing compared to what I am going to do! (NLT)”… I love that! It would be easy to just camp right there… to live on the past miracles… on His past wonders that He has done for us. But He is saying to forget all that! The New American Standard version says not to “ponder the things of the past” and the NIV says not to “dwell on the past” As wonderful as the past miracles were, He is wanting to do new things, fresh things for us…. things that will surpass the old things He has done. Remembering the past, keeps us looking backwards…. God is wanting us to look ahead in expectancy for what He wants to do now and in our future. The word “new” in this passage means “fresh,” but it also means to “renew” and to “rebuild. The word “renewal” implies a repairing or a replacement of something. For us as believers this new thing in Isaiah speaks of Christ Jesus. All of His grace, all of His goodness, His promises… His benefits are ours in Christ. The cross was a finished work… all of His benefits are ours by right of Covenant… but it takes renewing our minds to walk in our inheritance. As I study His Word, my mind is renewed…. old thought patterns and wrong traditions (doctrines of unbelief) that I’ve learned have to be cast down and replaced with right believing. Each day I learn “new things” in His Word… new areas of grace that belong to me… peace, prosperity, divine health (not just healing!). I am learning that these things are mine because they were purchased for me by my Savior and released to me by my loving Father… not because I obey and follow rules, but because they are my inheritance in Christ. This “new thing” He does for me on a daily basis….by revealing to me areas of unbelieving thoughts and teaching me how to take those thoughts captive, causing me to grow in His Word… to grow in grace… this right believing results in right living that glorifies Abba Father! God desires to replace an old belief system and relationship with Him (that has been limited by mindsets, doctrines, etc.) with an updated and even repaired relationship and revelation of Him. So often we allow our own fears, circumstances or wrong teaching to determine our believing when it comes to grace, healing, prosperity, etc. 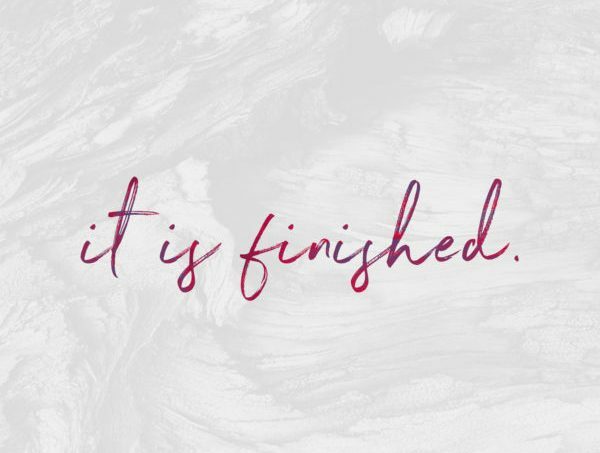 He desires to repair our belief system and reestablish the truths of grace and faith and righteousness… giving us fresh revelation of the finished work of the Cross and what Jesus purchased for us and set us free from…. free from all sin, sickness, disease, poverty, oppression, etc. This renewal will bring forth a refreshing and in the midst of this, His perfect plan for our lives will be rebuilt. To make this shift, will require that we be willing to come out of our comfort zones, our comfortable doctrines and comfortable mindsets…. like the children of Israel to go to a new place where we’ve never gone before. Joshua gave the children of Israel a few instructions in order for them to successfully navigate this new land. In chapter 1 verses 10-11, Joshua instructed his officers (in Hebrew officers is “shoter,” referring to a person of authority… an overseer or ruler) to “Go through the camp and tell the people to get their provisions ready. In three days you will cross the Jordan River and take possession of the land the LORD your God is giving you.” Prepare in Hebrew is “kun” is more than just getting ready, it means to be established in readiness. It also means to be fixed and stable. Prepare your provisions! What new thing is God doing in your life in this season? What is He rebuilding or renewing in you? Is it prosperity or healing?…. get your provisions prepared. Get established in readiness. We do this through prayer, studying the Word and renewing our minds…taking captive every thought that exalts itself against the knowledge of Christ. Dig in the Word and find out what the Word says about His promises… forget what you think you know, what you’ve been taught or what your circumstances are saying to you about His promises. Allow Holy Spirit to breathe life and fresh revelation into your spirit man as you read the Word. In chapter 3 verses 1-4 Joshua gives a second set of instructions to the children of Israel through the message of his officers… “When you see the Levitical priests carrying the Ark of the Covenant of the LORD your God, move out from your positions and follow them. Since you have never traveled this way before, they will guide you. Stay about a half mile behind them, keeping a clear distance between you and the Ark. Make sure you don’t come any closer. They are instructed to stay behind the priests who are carrying the Ark of the Covenant (symbolic of God’s presence). These people are to follow behind the priests (in Hebrew to walk after them). The priests will guide them…. so that they (the people) will know the way to walk. Ephesians 4:11 tells us the Jesus gave gifts to the church… apostles, prophets, evangelists, pastors and teachers. Verse 12 tells us that these gifts were given to us to equip or perfect us…. in Greek it means to enable the individual parts to work together in correct order… and to build us up or edify us….in Greek it means constructive criticism and instruction that builds a person up to be the suitable dwelling place of God, i.e. where the Lord is “at home.” In this new season where God is renewing and rebuilding your faith to walk in His promises, it’s important to follow after “the priests” (the 5 fold ministers) who truly believe the Word and teach it truthfully. Those who anointed to lead the body of Christ and have the heartbeat of God… saying what He is saying. Then in verse 5 Joshua gives them their final instructions before crossing over which is to purify or sanctify themselves. 1 Cor 1:2 says that God made us holy by means of Christ Jesus. Verse 30 says that Christ made us right with God, he made us pure, holy and free from sin (NLT)… He became for us righteousness, holiness and redemption. In this season, we have to know who we are in Christ… to know our identity. He has already made us pure… we just need to know what the Word says about who we are. Get a list of scriptures that tell you who you are in Christ… there are about 133 scriptures! Read them daily, meditating on them and allowing them to replace wrong beliefs. The tribe associated with the month of Cheshvan is Manasseh. Manasseh was the first born son of Joseph. Manasseh and his brother Ephraim were adopted by Isaac and received Joseph’s inheritance and became tribes like 10 of Joseph’s brothers…they represent the next generation. They didn’t have to sit out and wait their turn by waiting until a generation passed away. They were adopted in and received the same responsibilities and blessings as the older generation. Benjamin, Ephraim and Manasseh were grouped together as 1 tribe on the west side of the Tabernacle. They were the youngest and smallest of tribes. Their responsibility in war was to defend the Holy things of the Tabernacle. This is a beautiful picture of the responsibilities of the next generation… they have to be taught to guard what is holy. Are we training this next generation to guard what is holy? By teaching them who they are in Christ and teaching them how to guard that identity and the inheritance through that identity that belongs to them. This month I challenge you to stretch yourself and renew your mind in areas and promises of the Word that maybe you’ve not fully believed… maybe it’s healing, prosperity, righteousness or abundant grace…. and then teach your children to walk in those things and guard them for future generations… because ALL of His promises are yes and amen in Christ!